Poets and illustrators gather together repeatedly during one year in 2014 to collaborate. In the start, no one knew how the collaboration would be done. The ways of working got clarified along the way through practice, as well as the questions about who works with who. We ended up having lots of fun together, matching poems and pictures, finding words for tempting images, creating images on the base of poetry. Some even got to choose between two poems to pair one’s illustration. Our August 12.-17.2014 exhibition in Lasipalatsin Akkuna, Helsinki, consists of fewer works than we actually made or started, so that means we are going to continue the work after this year. Be welcome to the opening on 12th August 5-7 pm! 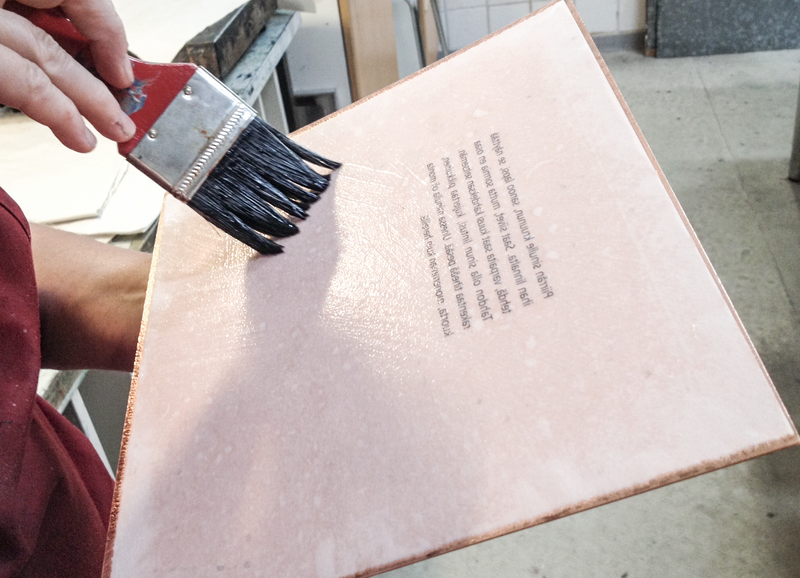 All our works are made with some graphic technique; be it cine collé (as we did with the poems), etching, or other printing methods.